Those Caliphs who truly followed in the Prophet’s footsteps are called ‘The Rightly-Guided Caliphs’ (Al-Khulafa-ur Rashidun in Arabic). They are the first four Caliphs: Abu Bakr, ‘Umar, Uthman and Ali. All four were among thc earliest and closest Companions of the Prophet (peace be on him). They lived simple and righteous lives and strove hard for the religion of God. Their justice was impartial, their treatment of others was kind and merciful, and they were one with the people – the first among equals. After these four, the later Caliphs assumed the manners of kings and emperors and the true spirit of equality of ruler and ruled diminished to a considerable extent in the political life of Muslims. It should be clearly understood that the mission of Prophet Muhammad (peace be on him), and hence that of the Rightly-Guided Caliphs, was not political, social or economic reform, although such reforms were a logical consequence of the success of this mission, nor the unity of a nation and the establishment of an empire, although the nation did unite and vast areas came under one administration, nor the spread of a civilisation or culture, although many civilisations and cultures developed, but only to deliver the message of God to all the peoples of the world and to invite them to submit to Him, while being the foremost among those who submitted. The primary responsibility of an Islamic government is still the same as it was in the days of the early Caliphs: to make all laws in accordance with the Qur’an and the Sunnah, to make positive efforts to create and maintain conditions under which it will be possible and easy for Muslims to live an Islamic life, to secure impartial and speedy justice for all, and to strive hard in the path of God. Any government which is committed to such a policy is truly following the message delivered by the Prophet (peace be on him). The Prophet’s closest Companion, Abu Bakr, was not present when the Holy Prophet (peace be on him) breathed his last in the apartment of his beloved wife of later years, Aisha, Abu Bakr’s daughter. When he came to know of the Prophet’s passing, Abu Bakr hurried to the house of sorrow. “How blessed was your life and how beatific is your death,” he whispered as he kissed the cheek of his beloved friend and master who now was no more. As the news of the Prophet’s death spread, a number of tribes rebelled and refused to pay Zakat (poor-due), saying that this was due only to the Prophet (peace be on him). At the same time a number of impostors claimed that the prophethood had passed to them after Muhammad and they raised the standard of revolt. To add to all this, two powerful empires, the Eastern Roman and the Persian, also threatened the new-born Islamic state at Medina. Khalid bin Waleed had been chosen by the Prophet (peace be on him) on several occasions to lead Muslim armies. A man of supreme courage and a born leader, his military genius came to full flower during the Caliphate of Abu Bakr. Throughout Abu Bakr’s reign Khalid led his troops from one victory to another against the attacking Romans. During his last illness Abu Bakr had conferred with his people, particularly the more eminent among them. After this meeting they chose ‘Umar as his successor. ‘Umar was born into a respected Quraish family thirteen years after the birth of Muhammad (peace be on him). Umar’s family was known for its extensive knowledge of genealogy. When he grew up, ‘Umar was proficient in this branch of knowledge as well as in swordsmanship, wrestling and the art of speaking. He also learned to read and write while still a child, a very rare thing in Mecca at that time. ‘Umar earned his living as a merchant. His trade took him to many foreign lands and he met all kinds of people. This experience gave him an insight into the affairs and problems of men. ‘Umar’s personality was dynamic, self-assertive, frank and straight forward. He always spoke whatever was in his mind even if it displeased others. ‘Umar was twenty-seven when the Prophet (peace be on him) proclaimed his mission. The ideas Muhammad was preaching enraged him as much as they did the other notables of Mecca. He was just as bitter against anyone accepting Islam as others among the Quraish. When his slave-girl accepted Islam he beat her until he himself was exhausted and told her, “I have stopped because I am tired, not out of pity for you.” The story of his embracing Islam is an interesting one. One day, full of anger against the Prophet, he drew his sword and set out to kill him. A friend met him on the way. When ‘Umar told him what he planned to do, his friend informed him that ‘Umar’s own sister, Fatima, and her husband had also accepted Islam. ‘Umar went straight to his sister’s house where he found her reading from pages of the Qur’an. He fell upon her and beat her mercilessly. Bruised and bleeding, she told her brother, “Umar, you can do what you like, but you cannot turn our hearts away from Islam.” These words produced a strange effect upon ‘Umar. What was this faith that made even weak women so strong of heart? He asked his sister to show him what she had been reading; he was at once moved to the core by the words of the Qur’an and immediately grasped their truth. He went straight to the house where the Prophet was staying and vowed allegiance to him. Umar made no secret of his acceptance of Islam. He gathered the Muslims and offered prayers at the Ka’aba. This boldness and devotion of an influential citizen of Mecca raised the morale of the small community of Muslims. Nonetheless ‘Umar was also subjected to privations, and when permission for emigration to Medina came, he also left Mecca. The soundness of ‘Umar’s judgment, his devotion to the Prophet (peace be on him), his outspokenness and uprightness won for him a trust and confidence from the Prophet which was second only to that given to Abu Bakr. The Prophet gave him the title ‘Farooq’ which means the ‘Separator of Truth from False hood.’ During the Caliphate of Abu Bakr, ‘Umar was his closest assistant and adviser. When Abu Bakr died, all the people of Medina swore allegiance to ‘Umar, and on 23 Jamadi-al-Akhir, 13 A.H., he was proclaimed Caliph. Those non-Muslims who took part in defence together with the Muslims were exempted from paying Jizya, and when the Muslims had to retreat from a city whose non-Muslim citizens had paid this tax for their defence, the tax was returned to the non-Muslims. The old, the poor and the disabled of Muslims and non-Muslims alike were provided for from the public treasury and from the Zakat funds. ‘Umar died in the first week of Muharram, 24 A.H., and was buried by the side of the Holy Prophet (peace be on him). When ‘Umar fell under the assassin’s dagger, before he died the people asked him to nominate his successor. ‘Umar appointed a committee consisting of six of the ten companions of the Prophet (peace be on him) about whom the Prophet had said, “They are the people of Heaven” – Ali, Uthman, Abdul Rahman, Sa’ad, Al-Zubayr and Talha – to select the next Caliph from among themselves. He also outlined the procedure to be followed if any differences of opinion should arise. Abdul Rahman withdrew his name. He was then authorised by the committee to nominate the Caliph. After two days of discussion among the candidates and after the opinions of the Muslims in Medina had been ascertained, the choice was finally limited to Uthman and Ali. Abdul Rahman came to the mosque together with other Muslims, and after a brief speech and questioning of the two men, swore allegiance to Uthman. All those present did the same, and Uthman became the third Caliph of Islam in the month of Muharram, 24 A.H.
During Uthman’s rule the characteristics of Abu Bakr’s and Umar’s caliphates – impartial justice for all, mild and humane policies, striving in the path of God, and the expansion of Islam – continued. Uthman’s realm extended in the west to Morocco, in the east to Afghanistan, and in the north to Armenia and Azerbaijan. During his caliphate a navy was organised, administrative divisions of the state were revised, and many public projects were expanded and completed. Uthman sent prominent Companions of the Prophet (peace be on him) as his personal deputies to various provinces to scrutinise the conduct of officials and the condition of the people. Uthman ruled for twelve years. The first six years were marked by internal peace and tranquillity, but during the second half of his caliphate a rebellion arose. The Jews and the Magians, taking advantage of dissatisfaction among the people, began conspiring against Uthman, and by publicly airing their complaints and grievances, gained so much sympathy that it became difficult to distinguish friend from foe. Uthman breathed his last on the afternoon of Friday, 17 Dhul Hijja, 35 A.H. (June. (656 A.C.). He was eighty-four years old. The power of the rebels was so great that Uthman’s body lay unburied until Saturday night when he was buried in his blood-stained clothes, the shroud which befits all martyrs in the cause of God. After Uthman’s martyrdom, the office of the caliphate remained unfilled for two or three days. Many people insisted that Ali should take up the office, but he was embarrassed by the fact that the people who pressed him hardest were the rebels, and he therefore declined at first. When the notable Companions of the Prophet (peace be on him) urged him, however, he finally agreed. Ali bin Abi Talib was the first cousin of the Prophet (peace be on him). More than that, he had grown up in the Prophet’s own household, later married his youngest daughter, Fatima, and remained in closest association with him for nearly thirty years. Ali was ten years old when the Divine Message came to Muhammad (peace be on him). One night he saw the Prophet and his wife Khadijah bowing and prostrating. He asked the Prophet about the meaning of their actions. The Prophet told him that they were praying to God Most High and that Ali too should accept Islam. Ali said that he would first like to ask his father about it. He spent a sleepless night, and in the morning he went to the Prophet and said, “When God created me He did not consult my father, so why should I consult my father in order to serve God?” and he accepted the truth of Muhammad’s message. When the Divine command came, “And warn thy nearest relatives” [26:214], Muhammad (peace be on him) invited his relatives for a meal. After it was finished, he addressed them and asked, “Who will join me in the cause of God?” There was utter silence for a while, and then Ali stood up. “I am the youngest of all present here,” he said, “My eyes trouble me because they are sore and my legs are thin and weak, but I shall join you and help you in whatever way I can.” The assembly broke up in derisive laughter. But during the difficult wars in Mecca, Ali stood by these words and faced all the hardships to which the Muslims were subjected. He slept in the bed of the Prophet when the Quraish planned to murder Muhammad. It was he to whom the Prophet entrusted, when he left Mecca, the valuables which had been given to him for safekeeping, to be returned to their owners. The Prophet (peace be on him) loved Ali dearly and called him by many fond names. Once the Prophet found him sleeping in the dust. He brushed off Ali’s clothes and said fondly, “Wake up, Abu Turab (Father of Dust).” The Prophet also gave him the title of ‘Asadullah’ (‘Lion of God’). Ali and his household lived extremely simple and austere lives. Sometimes they even went hungry themselves because of Ali’s great generosity, and none who asked for help was ever turned away from his door. His plain, austere style of living did not change even when he was ruler over a vast domain. As mentioned previously, Ali accepted the caliphate very reluctantly. Uthman’s murder and the events surrounding it were a symptom, and also became a cause, of civil strife on a large scale. Ali felt that the tragic situation was mainly due to inept governors. He therefore dismissed all the governors who had been appointed by Uthman and appointed new ones. All the governors excepting Muawiya, the governor of Syria, submitted to his orders. Muawiya declined to obey until Uthman’s blood was avenged. The Prophet’s widow Aisha also took the position that Ali should first bring the murderers to trial. Due to the chaotic conditions during the last days of Uthman it was very difficult to establish the identity of the murderers, and Ali refused to punish anyone whose guilt was not lawfully proved. Thus a battle between the army of Ali and the supporters of Aisha took place. Aisha later realised her error of judgement and never forgave herself for it. It was the fortieth year of Hijra. A fanatical group called Kharijites, consisting of people who had broken away from Ali due to his compromise with Muawiya, claimed that neither Ali, the Caliph, nor Muawiya, the ruler of Syria, nor Amr bin al-Aas, the ruler of Egypt, were worthy of rule. In fact, they went so far as to say that the true caliphate came to an end with ‘Umar and that Muslims should live without any ruler over them except God. They vowed to kill all three rulers, and assassins were dispatched in three directions. With the death of Ali, the first and most notable phase in the history of Muslim peoples came to an end. 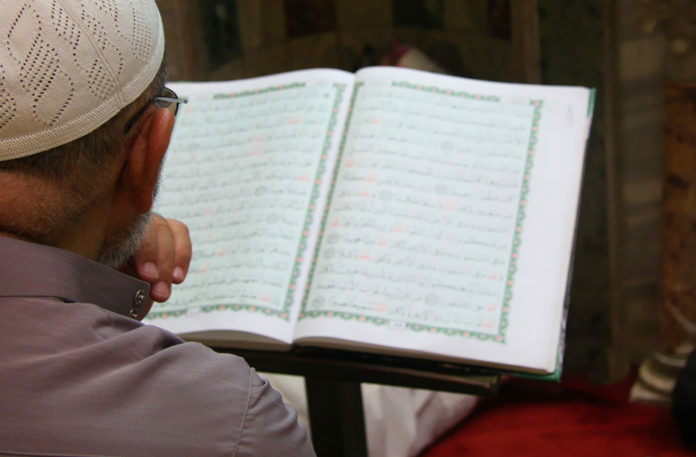 All through this period it had been the Book of God and the practices of His Messenger – that is, the Qur’an and the Sunnah – which had guided the leaders and the led, set the standards of their moral conduct and inspired their actions. It was the time when the ruler and the ruled, the rich and the poor, the powerful and the weak, were uniformly subject to the Divine Law. It was an epoch of freedom and equality, of God-consciousness and humility, of social justice which recognised no privileges, and of an impartial law which accepted no pressure groups or vested interests. Reprinted with permission from the National Muslim Student Association of the USA and Canada.